The service is wonderful i really mean AMAZING! Support is great, they helped me a lot, changed everything I needed to, and didnt charge me extra! I recommend this store for everyone. Package came quickly without any troubles/extra payments. I wish other stores has such a good quality of service… Coco is a great person and will always help you! Will come back for sure! Worth every penny! Very satisfied customer! 2 thumbs up! Mindig készek a vevő kiszolgálására ! Bármi probléma van gyorsan meg oldják nem problémáznak vele ! Szerintem az egyik legjobb online kereskedelmi oldal ! Bangood allowed me to reach a happy agreement with the seller and so we both benefited. The attention is totally recommendable. Banggood foi uma ótima alternativa dr compra de produtos importados, gostei gostei dos preços e variedades de produtos, fiz minha compra, veio faltando uma peça, contestei o ocorrido e me responderam muito rápido, já estão mandando a peça, agilidade na hora de atender o cliente, parabéns, voltarei a comprar, pois vi q posso confiar q vou receber meu produto, e com qualidade. Really good place to find and buy stuff, and now with a great customare service too. Excelente site, atendimento muito bom !! 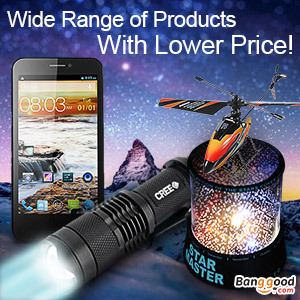 I love banggood and not only do they have great products with good prices. The customer service is very good and much much better than other known online stores I’ve come across. I have already ordered multiple items from the website (mostly electronics) and so far I didn’t have any issues. Everything was as described. shipment was fast and the support department is responding to my questions on time. 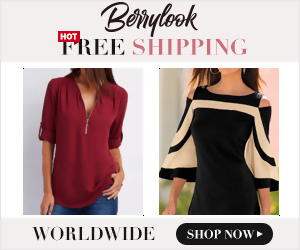 A big plus for the website is the rewards program, where you gain points for your purchases, which you can later use to reduce the price when purchasing again items from them. Would definitely recommend the site to my friends (a bunch of them already use it).